6 overland solutions that will ease your camping life and help you explore further for longer. 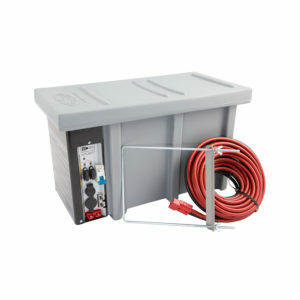 Nothing has revolutionised our outdoor way of life quite like the 12V camping fridge. Gone are the days of melted ice and floating lamb chops; today, we’re able to run a powerful 12V fridge (at ice-cream-freezing temperatures) for more than 24-hours on a single battery! But efficiency isn’t the only thing that matters! 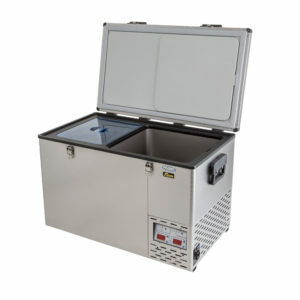 Backup service and reliability are also key features to consider when purchasing a fridge / freezer; along with the ability to perform in extreme conditions (heat and vibrations). That said, all National Luna fridges are designed and manufactured in Africa, for Africa. As 12V refrigeration becomes more powerful and efficient, so too does the need for bullet-proof back-up power; and what could be more reliable than a mechanically proven and 15-year-trusted solenoid system? 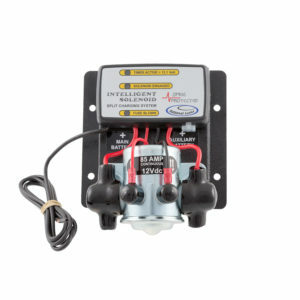 Our onboard dual battery system has been serving the 4×4, boating and caravan markets since 2003! That’s 15 years of tried and trusted use in thousands of 4x4s worldwide. In fact, this very system is the preferred dual-battery setup for Avis Safari Rentals and their fleet of hardworking Ford Rangers and Toyota Land Cruisers. Dual-battery power is great, but “power on the move” is even better! Our portable power packs have quite literally travelled the globe − from the toughest overland routes in Africa, to the depths of the Australian Outback. This drop-proof, shock-proof and bang-proof power pack will keep your campsite running smoothly, no matter where your journey takes you. The National Luna Portal Power Pack is super-easy to install and features a built-in dual-battery system, a highly accurate battery monitor and multiple outlet plugs. There’s no doubt about it: batteries are expensive! And if you don’t look after yours, it will never last. 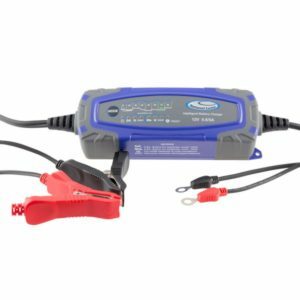 To make matters worse, and contrary to popular belief, most vehicle journeys are not long enough to fully recharge a deep-cycle battery; which is why it’s imperative that your auxiliary battery be connected to an Intelligent Maintenance Charger when the battery is not in use. If not, the battery will be permanently damaged. After extensive research into battery technology and recharge/discharge curves, it became painfully clear to us that battery maintenance was a critically ignored subject. Which is why we invested more than 3-years into the development of our newly-released Intelligent Battery Charger. The unit boasts an 8-step charging program that allows the charger to optimally analyse and restore your vehicle’s cranking and/or auxiliary battery. Best of all, the charger can be left connected to your battery for an indefinite period, without the risk of damaging (or over-charging) the battery. Here’s the thing about outdoor lighting: sometimes you need a lot, and other times you want the perfect amount. There’s nothing worse than an overly powerful camping light that ruins the ambience of the great outdoors. Likewise, there’s nothing worse than not having enough light when you really need it. 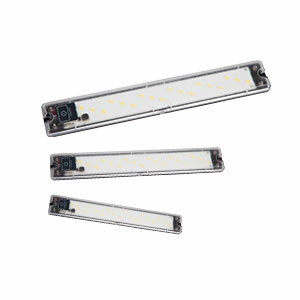 This is why our extensive range of LED camping lights are all fitted with multiple brightness modes, ranging from easy-on-the-eyes to blindly brilliant. To top it off, we made the light water-resistant and fitted it with a polycarbonate lens / diffuser that’s just about unbreakable. Finally, we included a built-in battery protection feature that automatically shuts the light down to prevent it from draining your vehicle’s cranking or auxiliary battery. 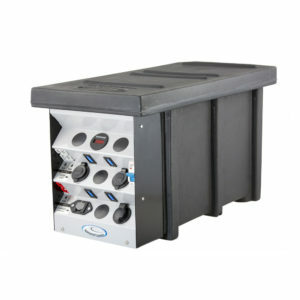 For a number of years now, the market has been asking us to manufacture a no-frills Auxiliary Battery Box that would make it easier to connect electronic devices to a 12V battery. We were dead keen on the idea, but didn’t want to slap together a plain old plastic box with limited features. That’s why – unlike so many other products out there – we decided to make our newly released Auxiliary Battery Box customisable. This means that you can save money and ultimately choose which connection types best serve your means. Whether it be a DIN/Hella connection, cigar socket or countless USB ports, the choice is yours! Next Next post: Which split-charging system is best?